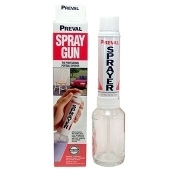 Ideal for use on all parts of a firearm, including ferrous metals, alloys, synthetics and wood. Resistant to lubricants, cutting oils, and bore solvents. Excellent physical and chemical performance. Excellent corrosion and chemical resistance. Excellent impact, mark, and abrasion resistance. A 4oz bottle finishes 2-4 firearms.